Most mornings are a mad scramble between prepping a wholesome breakfast for the kiddos and trying to pack a filling lunch. Then there's the evening chaos of trying to prepare a healthy dinner around school, extracurricular activities and helping with homework. 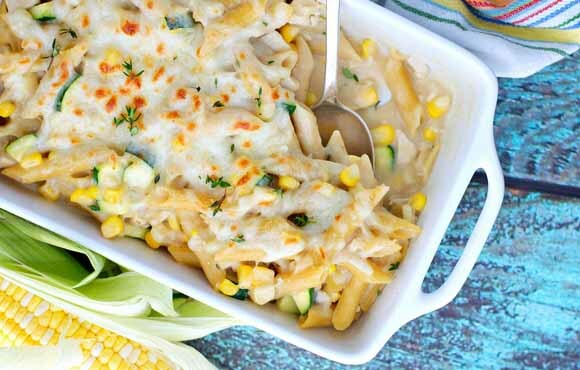 Freezer meals should be every busy parent's timesaving secret—but not the TV dinners you're thinking about, which are packed with sodium and processed ingredients. Homemade freezer meals are just as quick to heat up, but they're also extra nutritious. Try these five delicious recipes next time you need a quick meal on stand-by. Mix all ingredients in a large bowl. 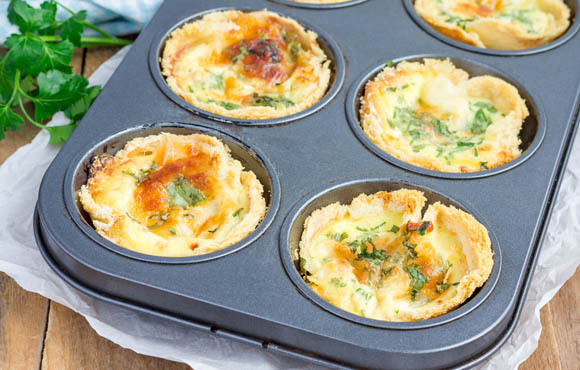 Grease each cup in a large muffin pan and fill them with mixture. Cook at 350 degrees for 20 minutes or until slightly browned on top. Let cool for five minutes. Place in freezer bags or enjoy immediately. Makes about 24 quiches. Just add a little fresh salsa and sour cream to this twist on a Mexican favorite and enjoy a healthy meal that tastes even better the second time around. Cook turkey on medium-high heat until heated through. Stir in beans, salsa and chili powder until warm. Stir in cheese. Warm up tortillas slightly. Place mixture in each tortilla and wrap like a burrito. 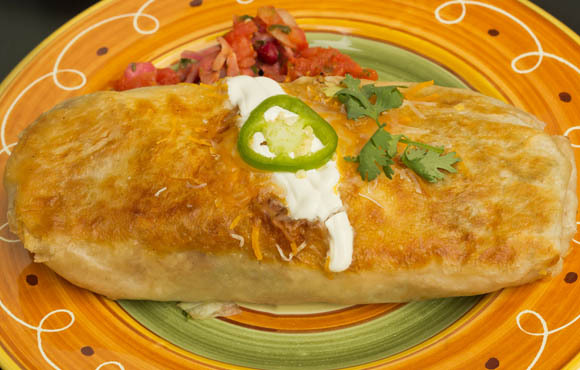 Place chimichangas with open side facing down into a greased baking pan and bake at 350 degrees for 20 minutes or until browned on top. Let cool and serve with sour cream and salsa. Place your leftovers in freezer bags. 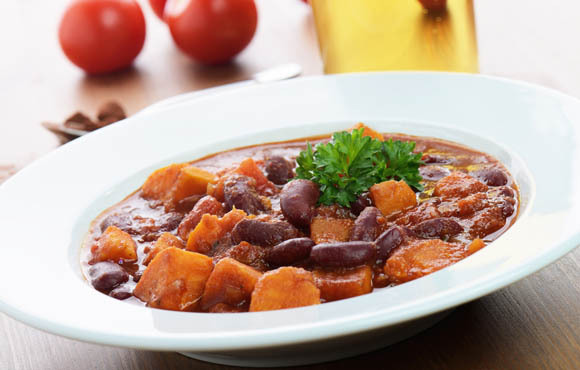 Chili is great for freezing and reheating, since soups with pasta or cream bases don't keep well in the freezer. This one is yummy and filling, and it'll keep until you're ready to enjoy it again. Heat oil over medium-high heat in a pot. Add sweet potato and onion and cook until softened. Add garlic, chili powder, cumin, chipotle and salt; stir constantly. Add water and simmer. Cover, reduce heat and cook until sweet potato is tender. Add all other ingredients and simmer. Top off with cilantro once removed from heat. Let cool completely before freezing. Add your favorite chili toppings when serving. You'll love this spicy twist on an Italian staple. These meatballs not only keep well when frozen, but they'll maintain their flavor no matter the pairing. Start by broiling the pepper on a baking sheet lined with foil, turning occasionally. Place the pepper in a freezer bag and let stand for 10 minutes. Then, peel and remove stem and seeds. Chop pepper, onion, garlic and cilantro in a food processor until finely chopped. Stir corn chips and milk in a large bowl until chips soften. Add eggs, salt, pepper and poblano mixture and mix in with beef. 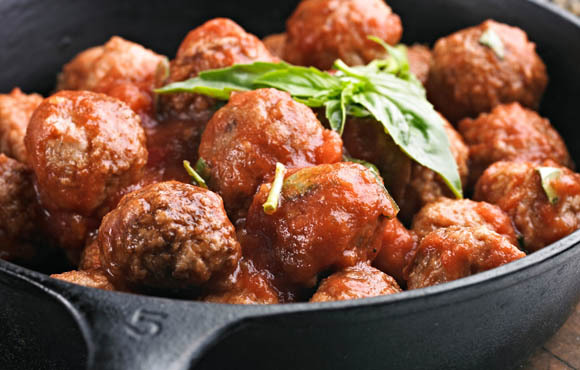 Shape into meatballs and place on foiled pan. Bake at 400 degrees for 10 minutes until browned. Transfer meatballs to a large pan with enchilada sauce, chicken broth and sugar. Bring to boil and then simmer for 15 minutes. Whisk together sour cream, lime zest and lime juice for a yummy condiment. Let cool completely before freezing. Much like the mini quiches, the chicken pot pie can be easily frozen and reheated as a classic homestyle favorite. 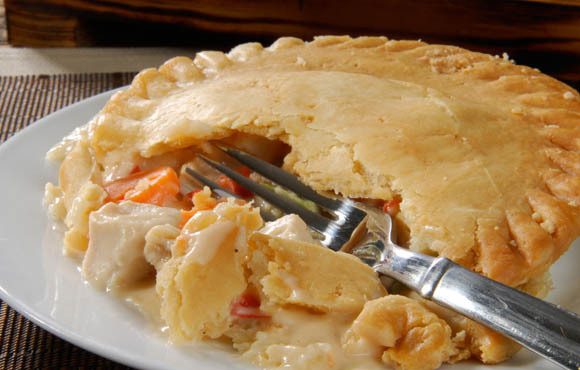 Stir vegetables, chicken and soup in an ungreased pie plate. In a separate bowl, stir remaining ingredients until blended. Pour into the same plate. Bake at 400 degrees for 30 minutes. Cool completely before freezing.